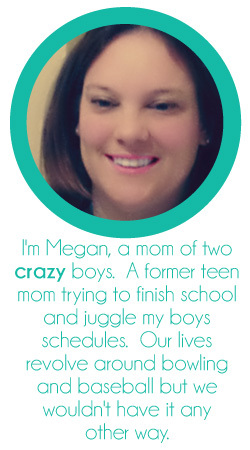 Simply Megan: Better Life Bag Giveaway & Update! The lovely Brin is giving away two shop credits to Better Life Bags!! Go enter!!!! If you have not heard of Better Life Bags you have probably been living under a rock. If you don't know the story you can check that out here! Once you check that out and want to buy a bag head over here! Now here is the best part. You might have looked at those bags and thought that you can't afford one right now. Well you are in luck! Myself along with 28 lovely ladies have teamed up to give TWO lucky people some shop credit to Better Life Bags. That's right TWO people. ONE of you will get a $50 Shop Credit and ONE of you will win a $100 Shop Credit. The $100 Shop Credit requires more effort so that is why that price is more. More work, more payoff! I could not have put this all together without the help of Allie. Thank YOU times a million. Your PicMonkey stills are much appreciated. Now get to entering! I want one of those bags for myself!!! I haven't updated in a few days. Not much has been going on. CJ has been working insane hours because of the Super Bowl which has not been making me happy or helping our situation at all. I never see him and when I do he is always in a horrible mood because he's tired from work. To an extent I understand that but he needs to leave work at work. Tonight we are going to the Circus with his mom. I'm sure the boys will enjoy it but I am not looking forward to it at all. I don't do clowns. Add in the fact that she chose a school night to get tickets for means the boys will have two late nights in a row since we are at the bowling center tomorrow night. I've spent the last three days researching information for Reno this year. Flights into Reno were crazy expensive and so we were looking into flying into San Francisco and then driving to Reno. Thankfully yesterday afternoon Southwest dropped the price of a Thursday flight from RDU to Reno from $335 to $163. Now flights home didn't drop but we went ahead and booked our tickets to take advantage of the cheap price out there. We normally book our tickets at the beginning of January but everything has been so expensive. Today I need to call the hotel we want to stay at and see if they are offering a discounted rate for bowlers (I think they are but I don't have the postcard they sent anymore). We are not staying at the same hotel as the rest of our group because this hotel is cheaper and nicer with an indoor pool and hot tub. I'm not huge into gambling so I want other amenities in my hotel. The rest of our group is big into gambling (so is my mom but as long as she has slot machines she'll be happy). I'm glad the main portion of planning our trip is done. Now I just need to get childcare lined up for the boys for the 5 days I'm gone since CJ has to work all 5 days I'm gone (which has never happened before). I'm hoping my mother-in-law can help like she usually does. If she can't do all 5 of the days I'm sure my dad can help with some. CJ is off today which means he is on carpool duty. We have to pick Deqlan up early so he can get his homework done before we go to the circus. We have to leave the house at 4:30 to meet CJ's mom at 5 so we can get dinner before. I need to get some homework done today and finish up some laundry. I need to take it somewhat easy today since I'll have some walking to do tonight and I'm feeling a little sore from physical therapy yesterday. We added some squats into my routine to help build up the muscle. I go back to the doctor in 3 1/2 weeks and the goal is to be cleared that day to start bowling again. I love my physical therapist she is willing to push me (not too far) to get me to my goal! I hope everyone has a great day! And don't forget to enter the giveaway!!! !